Aren’t you lucky, you fancy blogizens (blogorians? ), you? Those who rely on the stodgy old paper version of The Inlander are left to suffer, bereft of my wit and clear lucidity. 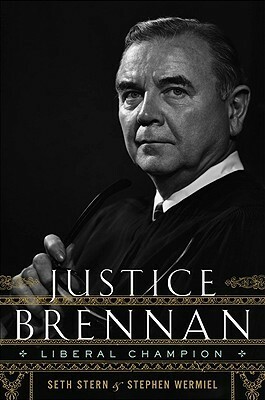 But you, you get an extra-special internets-only book review of a new biography of Supreme Court Justice William Brennan that just came out on Tuesday. I mean, just because I don’t know the meaning of “succinct” this review is TOO HOT FOR THE PAPER (it might start fires) doesn’t mean you, the peoples, shouldn’t get to read it. Now, fly my pretties! Go read the whole review. Or the book, I don't care*. *Yes, I do. The review. Then the book.